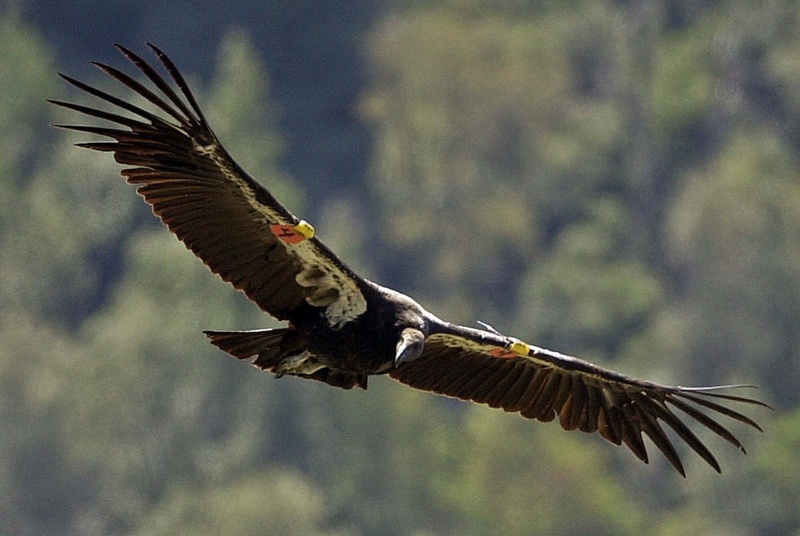 Biologists have confirmed that a California condor nest in Zion National Park contains an egg, which is expected to hatch in early May. The parents have been observed taking turns sitting on the egg, which is their first. They are the only known breeding pair in the park and have been together for two years. With a former mate, the mother produced two chicks, but neither survived to the point of leaving the nest. The father died of lead poisoning. No chick has been raised to adulthood in the park. It is estimated the egg was laid in mid-March in a nest just north of Angels Landing. Peregrine falcons are also currently nesting in Zion, and several climbing routes have been closed to accommodate them.